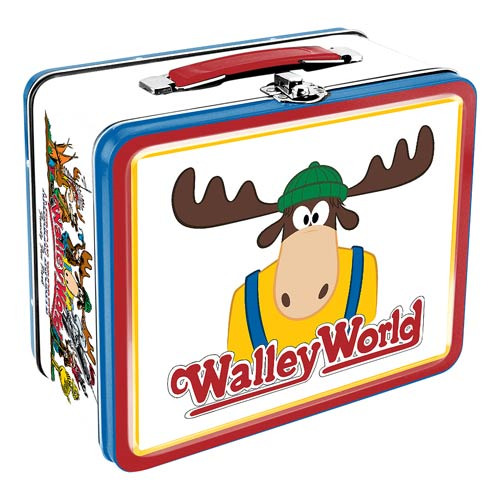 Feel like one of the Griswolds with this retro lunch box straight from National Lampoon's Vacation! The National Lampoon's Vacation Walley World Large Fun Box Tin Tote measures approximately 7 3/4-inches wide x 6 3/4-inches tall x 4 1/4-inches deep. Ages 17 and up.